Check out our exclusive interview with the 2018 National Geographic Adventurer of the Year, Hilaree Nelson. 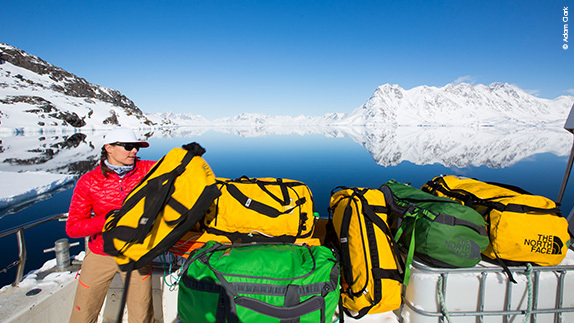 Hilaree has been on over 40 expeditions in the last 20 years. She joins us tomorrow, live on stage at The Paramount, for a story that will have you on the edge of your seat. CLICK HERE to purchase your tickets now. Continue reading for details on how Hilaree prepares for her expeditions, how she manages a family both at home and while away, and her favorite climbing adventures. Q: Can you paint a picture of your climbing experiences in one sentence? Q: What climbing adventure was your favorite and why? Q: For all of the people who are not climbers, how do you physically and emotionally prepare for an adventure? Can you tell us about the physical and mental training? Q: As a working parent, how do you and your family prepare for each adventure climb?